GlaxoSmithKline's meningitis vaccine Bexsero saw sales double in the third quarter, forcing the company to race to bring new manufacturing capacity online. The vaccine was one of the stars of GSK's third-quarter results, which benefited from the weakness of sterling but nevertheless outperformed expectations, defying critics who have called for a shift away from the company's high-volume, low-margin business focus. Revenues came in at £7.54bn ($9.21bn) in the quarter - around £300m more than consensus forecasts - driven by a "standout performance" from vaccines as well as gains for GSK's HIV drugs and a recovery in respiratory sales. For some time the back story at GSK has been the loss of patent protection for asthma and chronic obstructive pulmonary disease blockbuster Advair/Seretide (salmeterol and fluticasone). The product continued to slide, but newer drugs such as Anoro (vilanterol/umeclidinium bromide), Breo (vilanterol/fluticasone furoate) and new severe asthma therapy Nucala (mepolizumab) more than offset the decline, with total respiratory sales up 8%. Downward pricing pressure on Advair over the last few years, as well as GSK's broad portfolio of drugs, could allow it to make a compelling case to keep Advair on US formularies after the patent expires next year, according to GSK chief executive Sir Andrew Witty. GSK is also getting ready to file its much anticipated triple COPD therapy before the end of the year, which along with the rest of the portfolio "puts us in a very interesting position to have a competitive dynamic in the US," he said. Bexsero meanwhile brought in £133m in the quarter, with annual volume now running at around 10m doses this year, up from 2.5m a couple of years ago. That is making capacity "tight", said Witty, adding that the company is working hard to ramp that up so as not to put a brake on sales. Witty estimates that penetration of the vaccine is still only at around 10%, so "there is an awful lot of opportunity to go on a global basis". 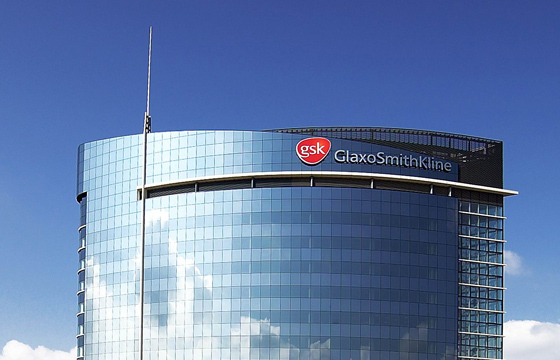 And with shingles vaccine Shingrix now filed for approval in the US and tipped for blockbuster sales, GSK's investment in the sector seems to be paying off, although it has suffered some setbacks as well. A few weeks ago the company ceded the US cervical cancer vaccine market to Merck & Co after withdrawing its Cervarix product, finding it was not competitive. There were some other disappointments in GSK's announcement, including decisions to terminate development of an HIV maturation inhibitor partnered with Bristol-Myers Squibb (BMS) and COPD candidate losmapimod, which had reached phase II testing. Witty said the company has back-up maturation inhibitors coming through and he does not expect a lengthy delay to the programme.